Less than four weeks remain until a huge collection of historic motorcycles from all over Australia flock to Wakefield Park for the Australian Historic Road Racing Nationals on 10-12 November. The race meeting will be one of the largest motorcycle events in Australia in 2017, encompassing motorcycles from a wide array of eras. The oldest motorcycles at the event will be Stan Mucha and Peter Birthisel’s 1926 Indian Altoonas, while at the other end of the spectrum, there are bikes from the late 1980s and early ‘90s. Within each era, there will also be different capacity motorcycles including 250cc, 350cc, 500cc, 750cc and Unlimited. 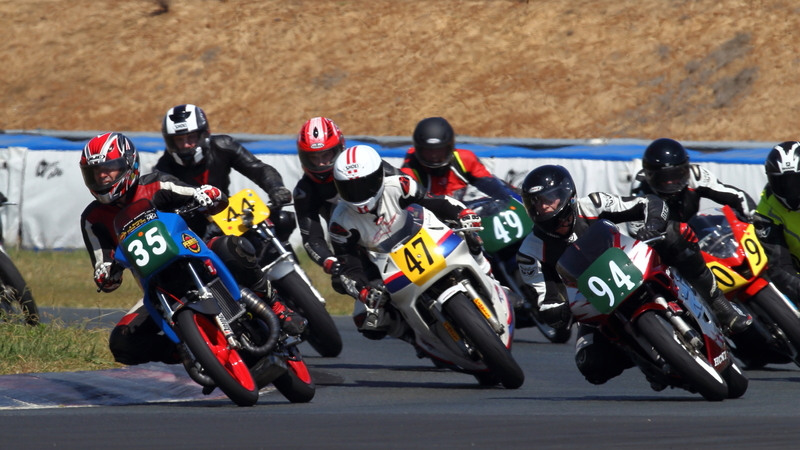 The Post Classic Racing Association of NSW (PCRA) is assisting Wakefield Park with hosting the event but numerous entries have been received from other states, including Victoria, Queensland, South Australia and Tasmania. Wakefield Park operations manager Matt Baragwanath said the event reaffirms the circuit’s status as a two wheel-friendly venue. “We have a lot of car race meetings but it’s very encouraging that we’re able to host more and more motorcycle events,” Mr Baragwanath said. “The last two years, we’ve hosted a round of the Australian Superbike Championship and through other activities such as our club events and regular Wakefield Motorcycle Ride Days, we have been able to strengthen our relationship with Motorcycling NSW and Motorcycling Australia. Full details on the event, including final entry lists, the race schedule and ticket prices will be announced shortly.